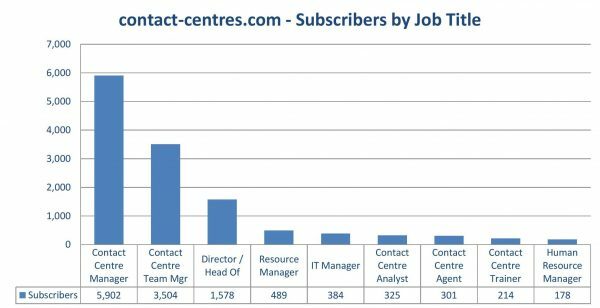 Each day we receive requests from either companies or individuals to be placed on the subscriber database of contact-centres.com. Unlike perhaps other comparable contact centre websites it is NOT just a case of placing them directly on the database even though we offer the website free-of-charge. Each time that we receive a request our telemarketing team contact the company or individual to confirm that the information which they have submitted is true and correct. 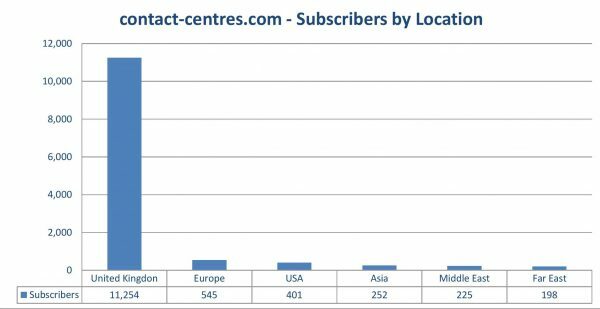 – 12,875 Total Subscribers across 4,997 contact centre sites. In addition, each time we send out a third party email or a news alert sometimes we receive ‘Bounced Emails’. 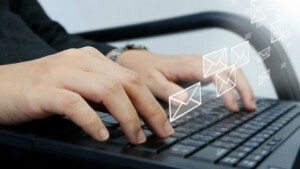 (please bear in mind that we normally send out over 1.2 million emails per month!) when we do it is not just a case of deleting them from the subscriber database – which we do! Again our in-house telemarketing Department would telephone the Company in question and ask for the name and contact details for the ‘replacement’ – we would the send out an email request to the individual detailing the benefits of subscribing to www.contact-centres.com. 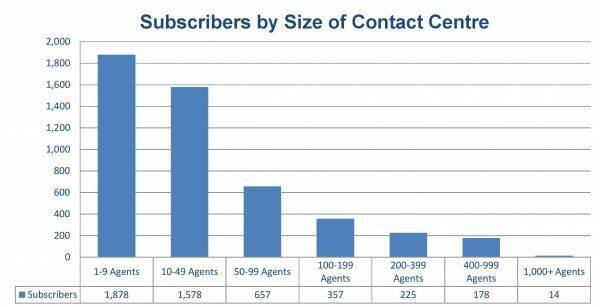 It isn’t by chance that we believe that we have the most comprehensive and up to date contact centre database available in the UK if nothing else we have been publishing the website since 2001!